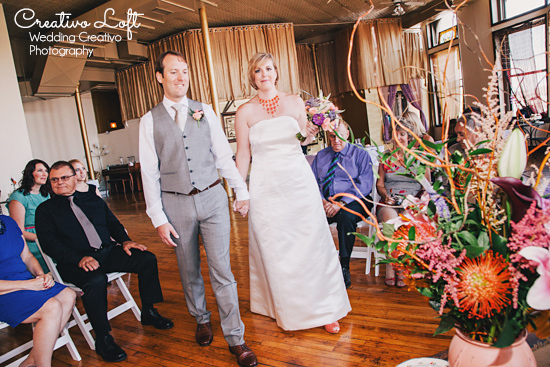 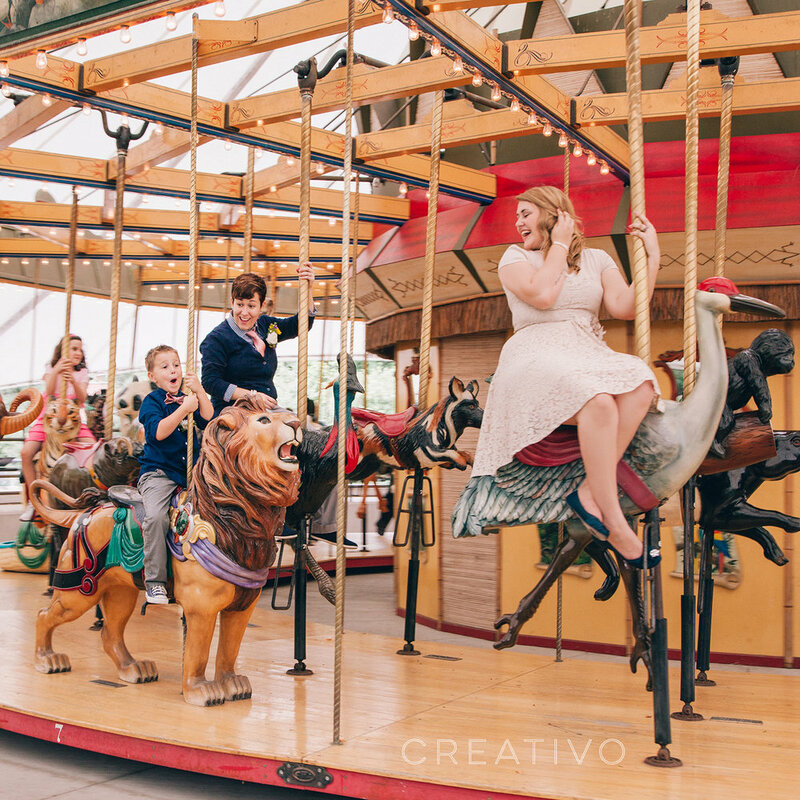 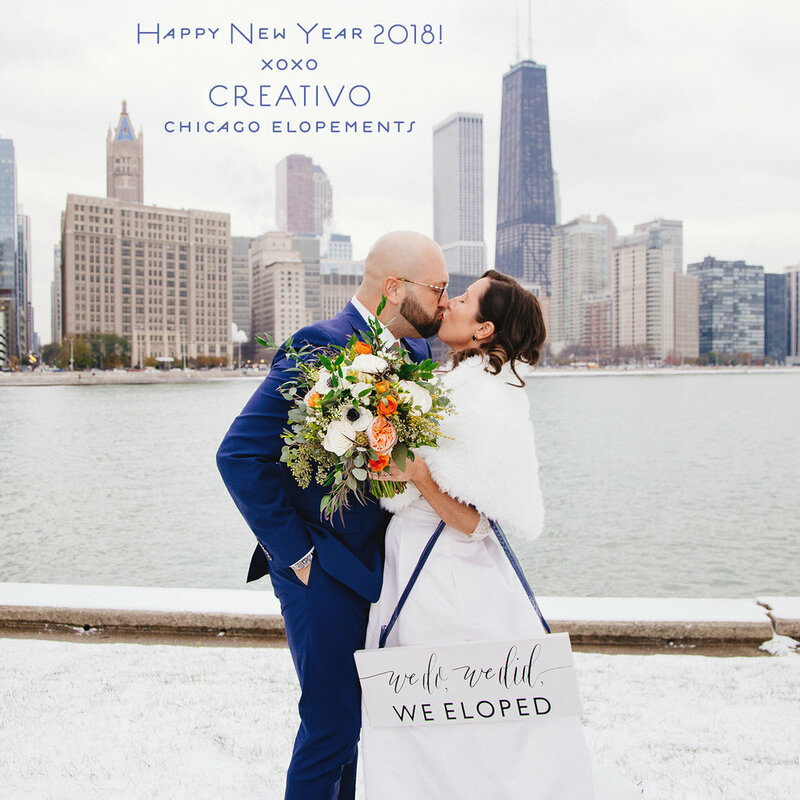 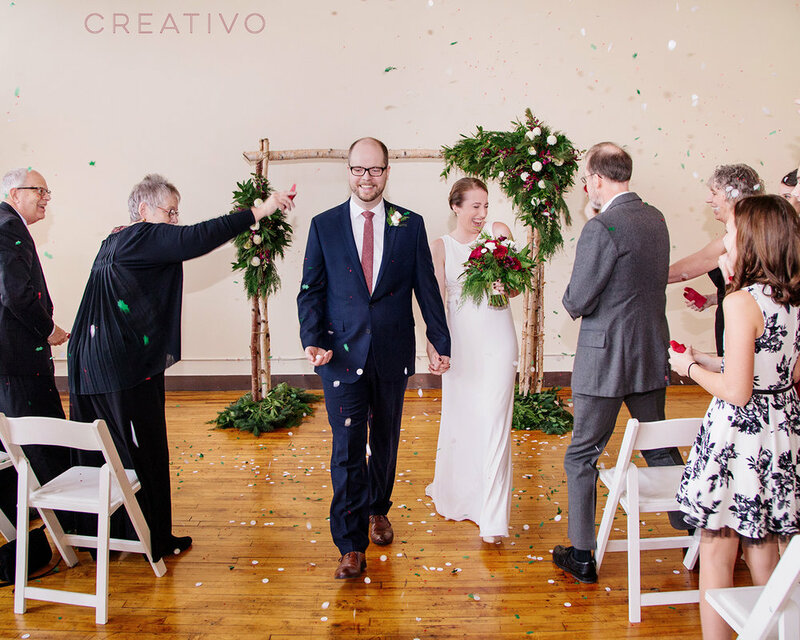 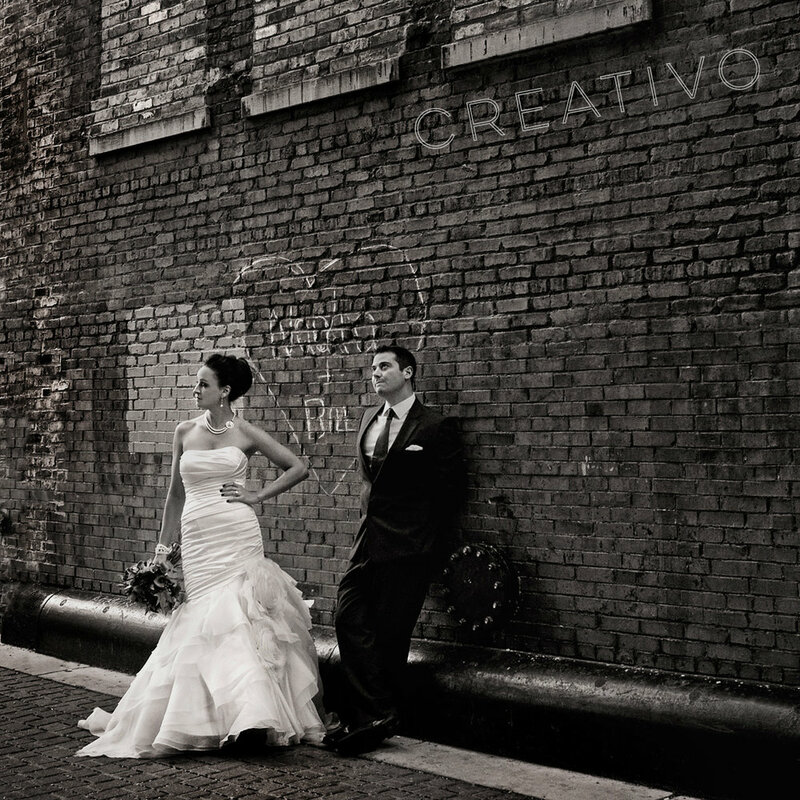 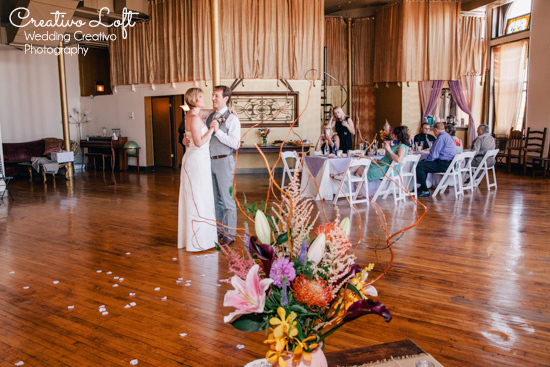 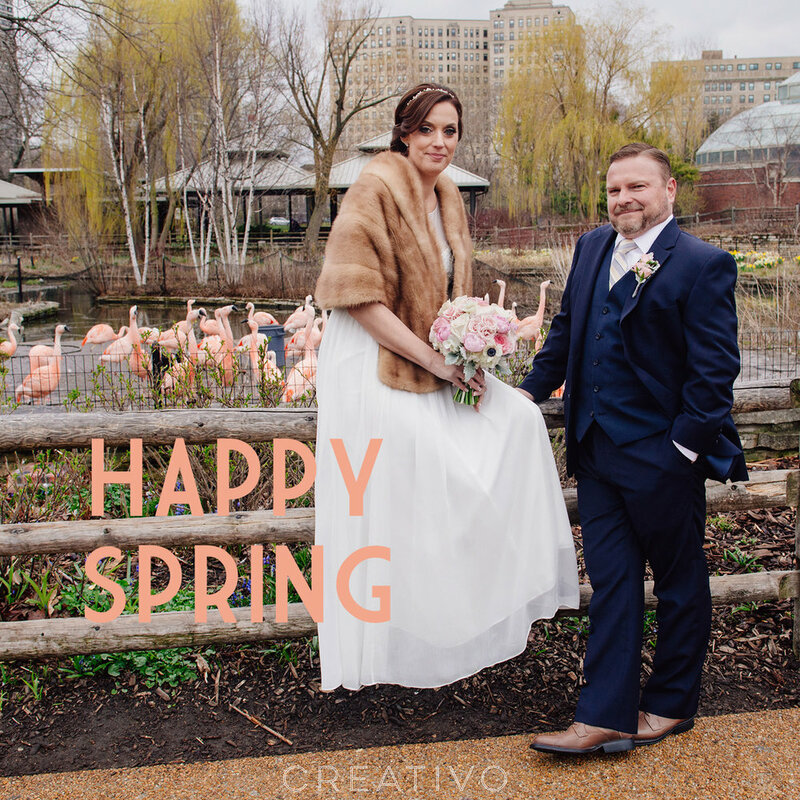 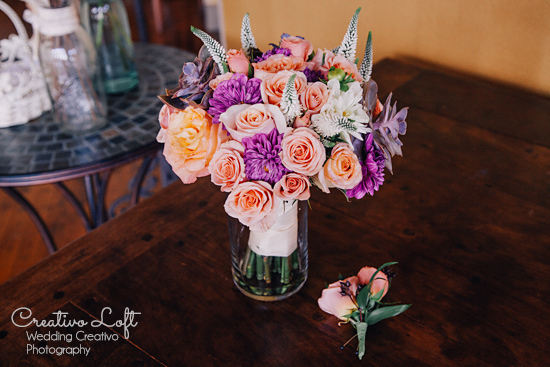 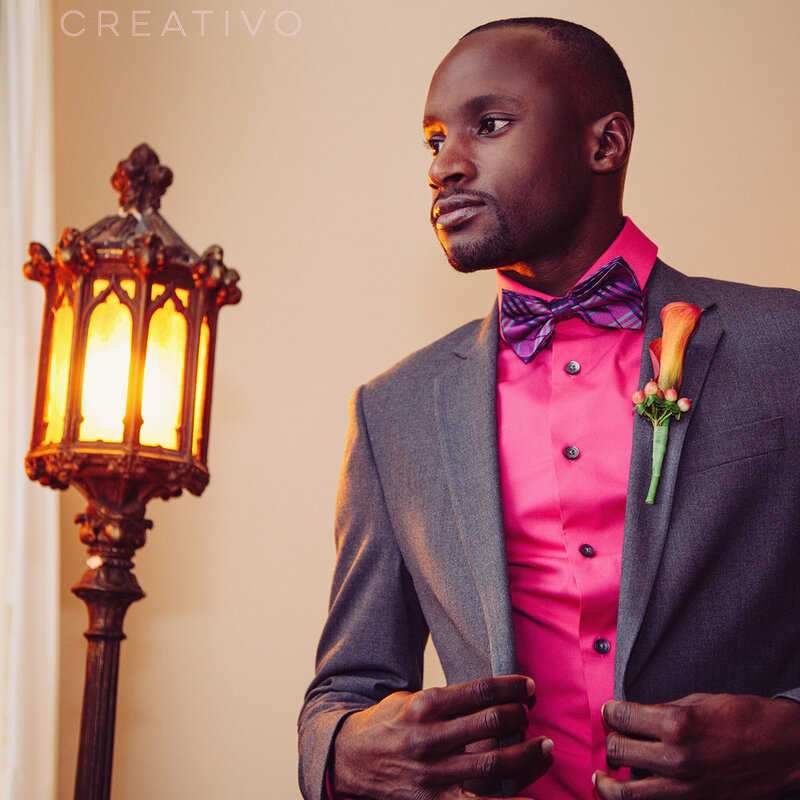 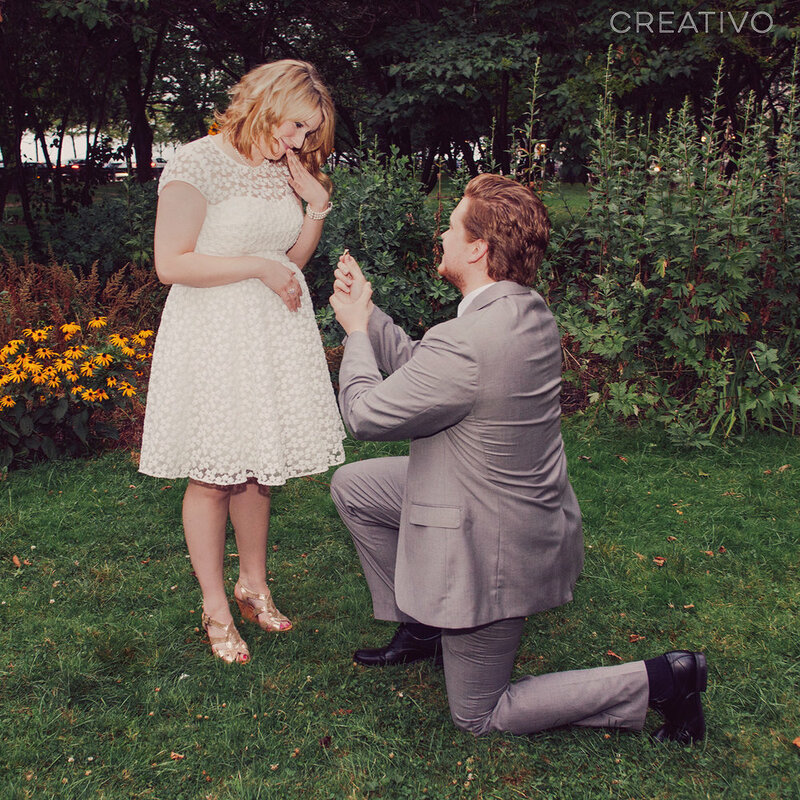 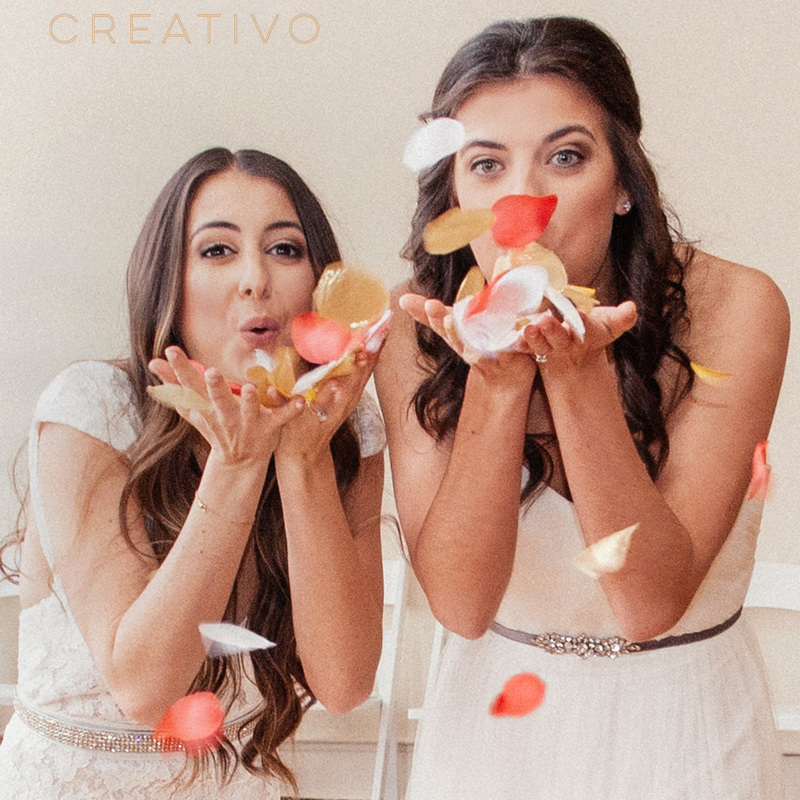 Congratulations to Julie and Robert who celebrated their small wedding at Creativo Loft in August. 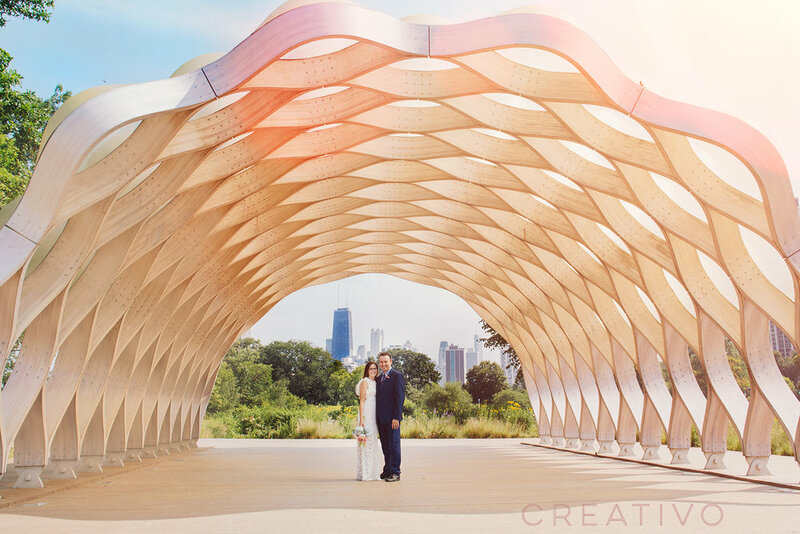 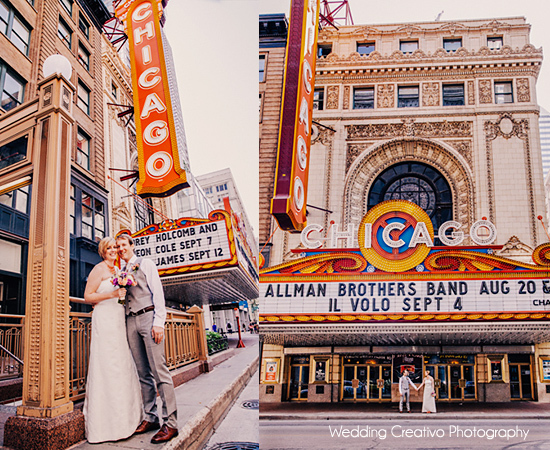 This Chicago couple had an intimate gathing of family and friends for a morning breakfast wedding. 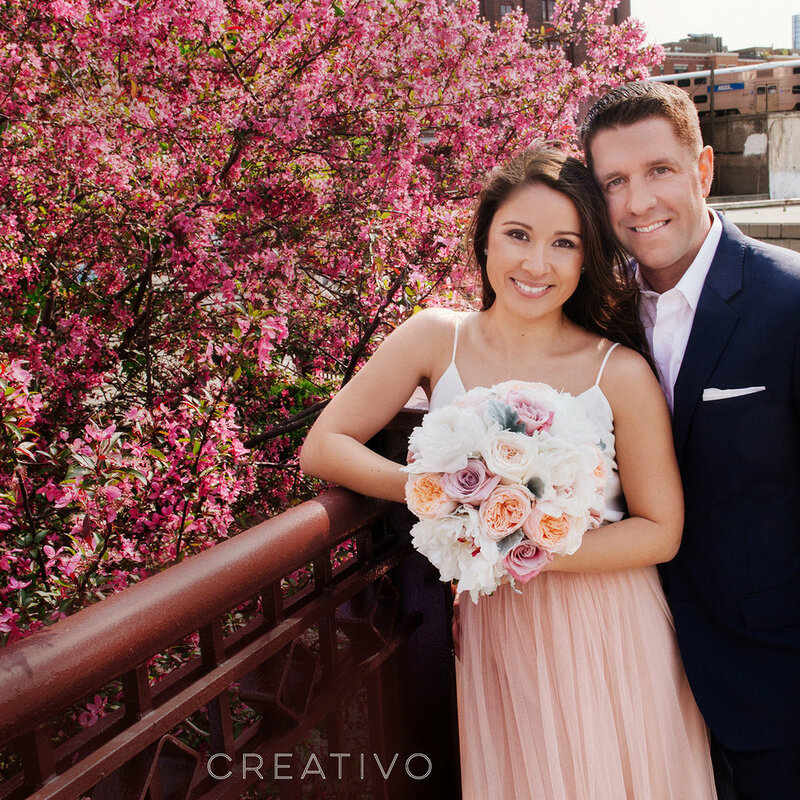 Wedding Creativo photographer Giorgio and the bride and groom went out by the Chicago Theater and river bridge for some portraits before their ceremony and brunch at Creativo Loft. 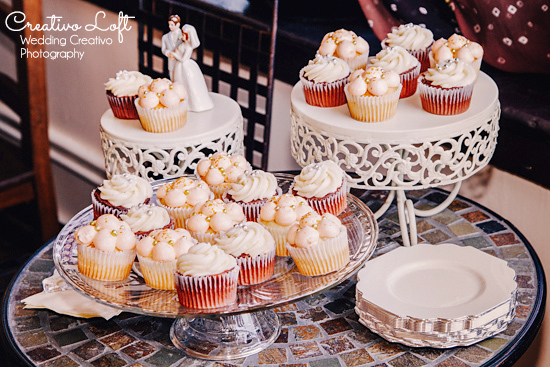 For this wedding we coordinated vibrant coral, peach, lavender and purple flowers from Steve's Flower Market, pastel coral decorated cupcakes from Tipsycake, along with lavender table linens. 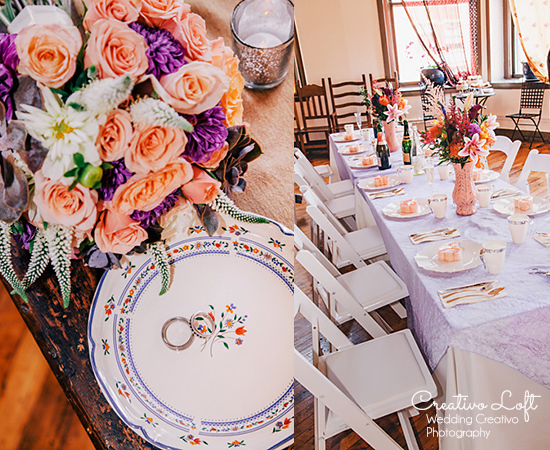 We were also excited to use the coral painted centerpiece vases, which we recently added to our venue decor collection.